At InwayHosting website (InwayHosting.com) we respect and understand our customers' concerns about privacy. We take all reasonable steps to ensure that your personal information is handled in a safe and responsible manner. Because of our respect and understanding of your rights, we have developed this policy, which discloses our privacy practices and describes the information we collect about you during your use of this Website and what we may do with that information. Non-Personal and Aggregated Information Collected Automatically. When you visit our Site, we log general data, such as your domain name (e.g., google.com, yahoo.com), the name of the Web page from which you entered our Site, which pages you visit on our Site, and how much time you spend on each page. We use this information to continually monitor and improve our Site and for internal analysis. In particular, we use IP addresses to analyze trends, administer the Site, track user's movement, and gather information for aggregate use. Personal Information That You Choose to Submit. As a visitor to our Site, you may choose to use the Site to send us personal information (e.g., your name, mailing address, telephone number, e-mail address), for example, when you send a question via the Site, register for a special service, submit your resume through our Site. Anytime you submit personal information for a specific purpose using the Site, your information is used for that purpose only, unless you consent otherwise or as required by law. When you submit personal information to InwayHosting on this Site, you understand and agree that this information may be transferred across national boundaries and may be stored and processed in another country, which may not provide privacy protections similar to those your country provides. We do not send unsolicited e-mail to you or other visitors to our Site. We may use e-mail to respond to e-mail messages from you, where necessary, to confirm information received online from you and to engage in other communication that you have authorized or that we have determined necessary to more effectively service you and our customers. In many cases, you choose the amount of information you supply (e.g., when sending us information through the Site, you may choose to include only an e-mail address - not a telephone number or mailing address - for replies). A "cookie" is a small piece of data that a website can send to your browser, which may then be stored on your system. We sometimes collect information from visits to our website to help us provide you a better experience on this website. Most web browsers automatically accept cookies, but you can usually change your browser to prevent that if you would rather not store the information for future use. 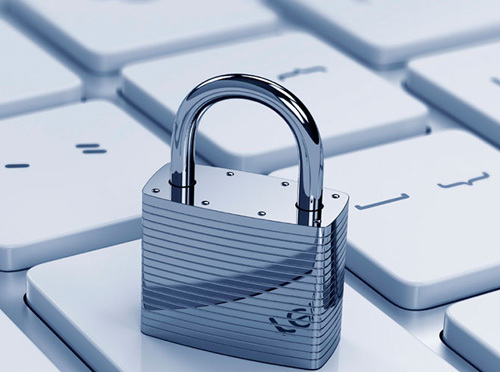 To prevent unauthorized access, maintain data accuracy, and ensure the correct use of information, we have put in place appropriate physical, electronic, and managerial procedures to safeguard and secure the information we collect through the Site. However, please be advised that InwayHosting cannot guarantee and has no control over the public or third party network through which you send your personal information to InwayHosting's Site. This Site provides hyperlinks, which are highlighted words or pictures within a hypertext document that, when clicked, take you to another place within the document, to another document altogether, or to other websites not controlled by InwayHosting. These hyper-linked websites may contain privacy provisions that are different from those provided herein and may also be web sites that are provided by, or under the control of clients of InwayHosting. InwayHosting is not responsible for the collection, use or disclosure of information collected through these websites, and InwayHosting expressly disclaims any and all liability related to such collection, use, or disclosure.